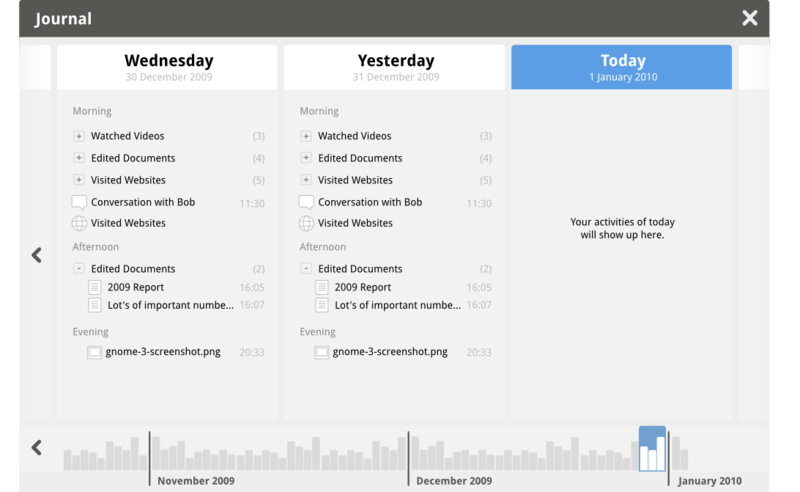 The GNOME Activity Journal is a tool to easily find and access files and other resources in your computer. It was previously known as Zeitgeist. While the early release supports basic file management activities. It is expected to develop into a much more capable tool because of its underlying framework. In this post we will tell you how to install the GNOME Activity Journal in Ubuntu Karmic Koala. Add the zeitgeist PPA in the repository list. Finally install the GNOME Activity Journal.